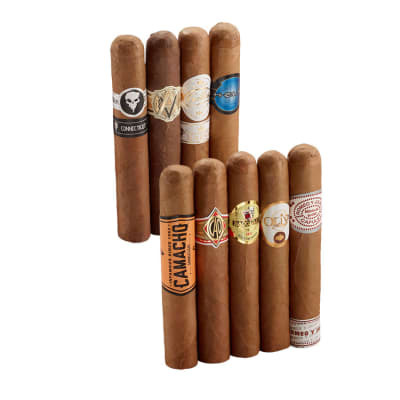 What's better than a bestselling cigar? 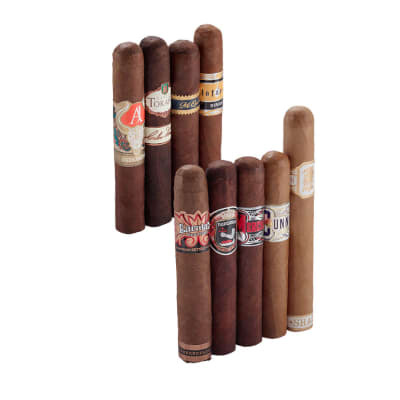 A bestselling cigar that's also got a hot tasting score, and the 9 cigars in this Top Rated Nica Best Sellers are all that, plus they're handcrafted in Nicaragua by the gifted rollers at Drew Estate, AJ Fernandez, Joya de Nicaragua, Oliva, Dunbarton Tobacco & Trust, Plasencia, and Toraño. 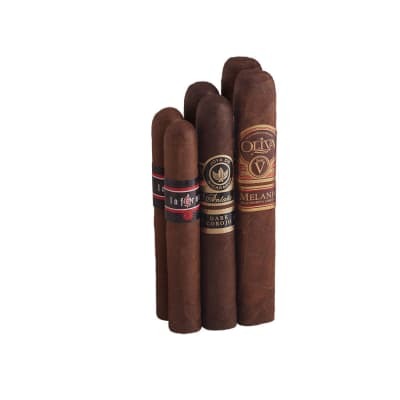 This sampler runs the full range of rich Nicaraguan tobacco flavor. If you like the natural mellowness and sweet aroma of Connecticut wrappers over Nicaraguan leaf, there's the smooth and toasty Cunning by Joya de Nicaragua, or step-up the spice with the Undercrown Shade. On the more medium side of the spectrum are the Huntsman, Natural Barcelona, and Indomina, each brimming with earthy, sweet-spicy goodness. 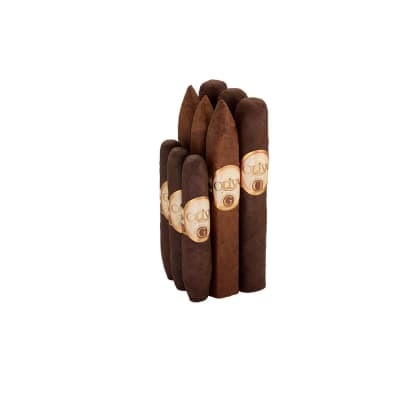 For the cigar smoker who wants full-throttle Nicaraguan flavor, there's the Toraño Signature, Merciless by Joya de Nicaragua, Inferno Singe from Oliva, and Mi Querida by Dunbarton Tobacco, each packed with hearty flavor that's perfectly-balanced and teeming with complex character. Ready to relax through all 9-innings at a great Famous Smoke Shop price? Start at the top by getting yours today!